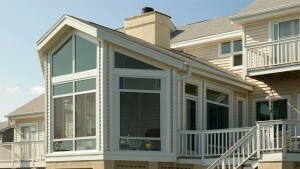 U.S. Patio Systems and Home Remodeling is an official dealer of TEMO sunrooms serving Des Moines, Iowa. It’s because TEMO is one of the preeminent sunroom manufacturers in North America. Years ago, TEMO developed much of the technology and engineering that have become the standard in the sunroom industry today. TEMO sunrooms are state-of-the-art structures that are comfortable, thermally efficient, always custom built, and made to withstand all weather conditions, including tornadoes, hurricanes, and other powerful meteorological events. Plus, all TEMO sunrooms undergo rigorous in-house inspection and third-party evaluation. They are designed to meet or exceed all nationally recognized engineering standards and residential building does. Buying a TEMO sunroom means buying a high-quality home addition that you will be able to enjoy without worry for as long as you own your home in Des Moines, Iowa. TEMO is so confident in the quality of its sunrooms that every single one it manufactures is protected by a powerful warranty for life. For more information, please contact U.S. Patio Systems and Home Remodeling today. We are an official dealer of TEMO sunrooms serving Des Moines, Iowa, and other Midwest cities. Let us help you find the perfect sunroom for your home and your family. U.S. Patio Systems and Home Remodeling is a leisure space specialization company that offers pergola installation, patio cover installation, basement remodeling, and basement finishing.